Susan Pugh-Anderson and Tom Anderson, as well as Robert and Tina Pyle, all of Carthage, Mo., are pleased to announce the engagement of their daughter, Jessica Marie Pugh, to Matthew James Thurman, son of Lisa Thurman of Mayetta and the late Mark Thurman. Jessica is a graduate of Carthage High School and Pittsburg State University. She is currently employed at Stormont-Vail HealthCare as a registered nurse. Jessica is also a student at Washburn University and pursuing a master’s degree in nursing. Matthew is a graduate of Royal Valley High School. He is employed at Rural Water District No. 4 as an operator. Jessica is the granddaughter of Dorothy Pugh, the late Richard Pugh, the late Leroy Bailey and Robert and Rose-Mary Pyle, all of Carthage, Mo. Matthew is the grandson of James and Sandra Thurman of Lyndon, Mary Swift of Goff and the late Jack W. Ehrhart, formerly of Mayetta. 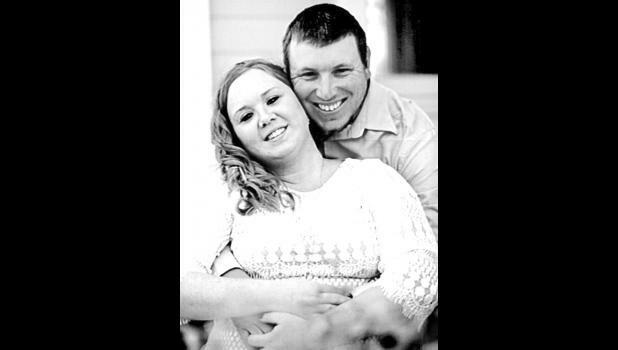 Matthew and Jessica will be united in marriage on Saturday, Sept. 24, 2016, at Banner Creek Reservoir in Holton. They will reside in rural Hoyt.